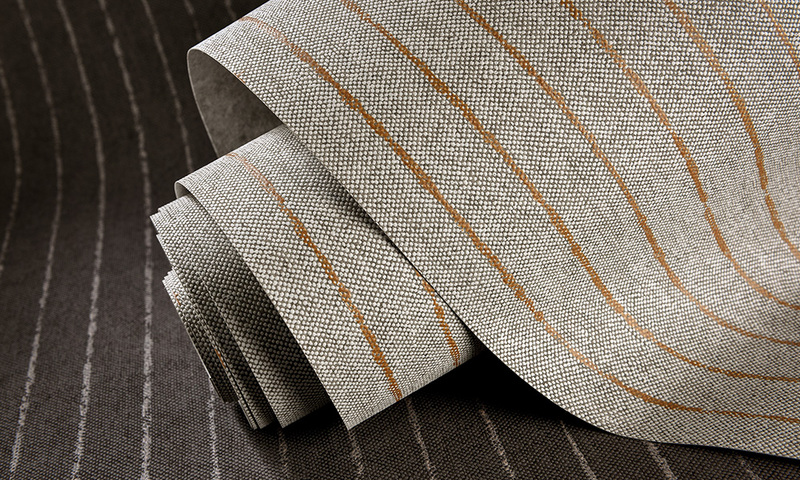 Classy chalkThe subtle chalk stripe of the Craie pattern makes you think of the ever popular pinstripe suit. In our version, the stripes are less sharply defined. 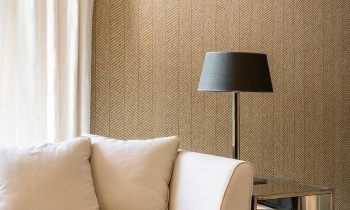 This less linear pattern allows you to think outside the box. The deliberately imperfect finish embellishes the pattern. Available in both richly contrasting colours and with more subtle merging. 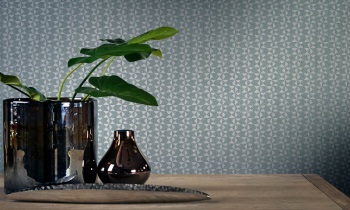 British heritageThe traditional tartan print has a very chic look that you can now apply to your walls, thanks to Héritage. 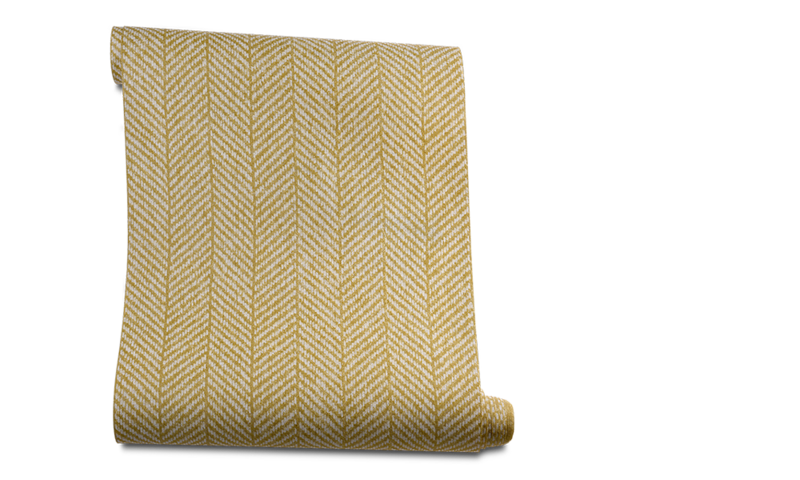 The pattern looks very warm and woolly and this is emphasised by the linen texture. Perfect herringboneThanks to its balanced pattern, Costume is a really graphic eye-catcher. 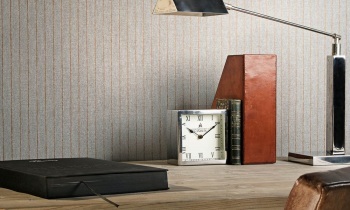 The herringbone motif has a hint of vintage and gives a home a lively feel. If you are looking for rhythmic peace, it is best to go with the muted shades of beige and grey. If you want something a bit more dynamic, opt for the dark blue or mustard yellow. 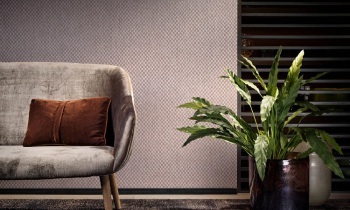 Feel the rhythmWith Rythmique, you can be sure of having a truly exceptional wallcovering. The name gives the game away, the pattern is all about rhythm. Rythmique plays with graphic forms which form an eccentric pattern. 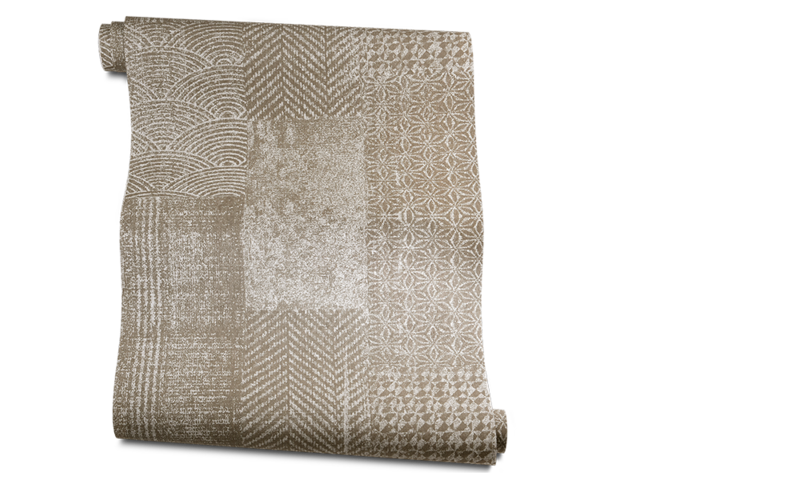 The linen texture gives the print gentle transitions. Eclectic ensembleHaving trouble choosing? Patchwork combines several prints and forms an eclectic collage. You are sure to recognise patches from the Costume, Pied-de-poule and Héritage patterns, to name but a few. A surprising, unique composition which continues to intrigue. Imperfection rulesCubes have never been this stylish before. Damier has a uniform appearance from a distance, but close-up you will be overwhelmed by the multitude of squares in contrasting shades. The linen texture lends the print a very gentle and subtle look. The transitions are not quite perfect and this means the pattern is not too tight. Refined nonchalanceBeautiful in its simplicity. The straightforward and simple lines of Carreaux do not need anything more, it provides any room with character and presence. The lines are slightly whimsical; it looks like a painter gently wafted his brush across the wallpaper. 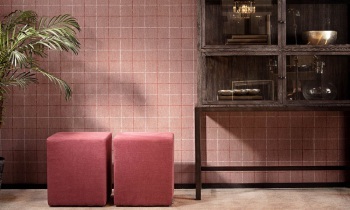 The contrasting colours add an extra, creative dimension to the pattern. ComebackThe Pied-de-poule pattern revives an evergreen. Everyone recognises this motif; the houndstooth pattern is often found in fashion and in the design world and is a real classic. 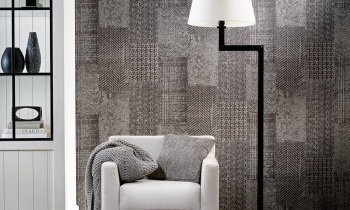 The pattern is not produced in the over-familiar black and white combination, but in gentle hues of beige and grey.